CYCLED! Indoor Cycling classes offer a fat-blasting, full-body workout intense cardio. This workout is designed to challenge your endurance and maximize your caloric burn. CYCLED! Indoor Cycling is infused with intensity, but still suitable for all skill levels. CYCLED! BARRE is a blended workout of ballet, pilates, and yoga; which will lengthen, lift and tone the body quickly. We emphasize form and train your muscles more efficiently to produce greater strength and grace for faster, amazing results. 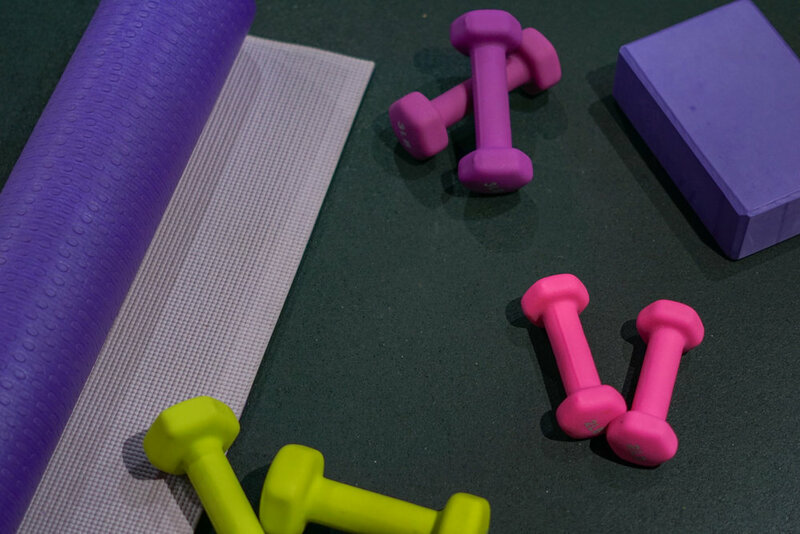 Yoga Sculpt presents the sweet fusion of yoga and strength training exercises! This class uses small free weights, combined with cardio, to intensify each yoga pose. You can also expect quick bursts of strength-training moves like squats, lunges and bicep curls. Let me grab my mat!